This post featuring GE Black Stainless Kitchen Appliances is sponsored by Best Buy. Any opinions are 100% my own. The kitchen is a popular gathering room in our house. We cook, talk, say goodbye in the morning, and hello in the evening all in our kitchen. It’s one of my favorite rooms in the house, even though I wish it was bigger. We’ve slowly been updating the look and appliances to make it more inviting. The last addition was the GE Stove we purchased at Best Buy during their closing sale at our location. I was super sad to see my closest store close but I’m in LOVE with the stove, and being able to design a unique kitchen with GE Black Stainless Kitchen Appliances! I want to replace the refrigerator next. It’s the original one that came with the house when we bought it 12 years ago. The light bulb quit working long ago, the shelves on the door are broken, and it’s a sad little fridge all around. I have my eyes on the GE Black Stainless Side by Side with all its spacious storage beauty. It has room to hold up to 25 bags of groceries! The best part? It’s fingerprint-resistant and easy to maintain and clean which is important to this mom of four. 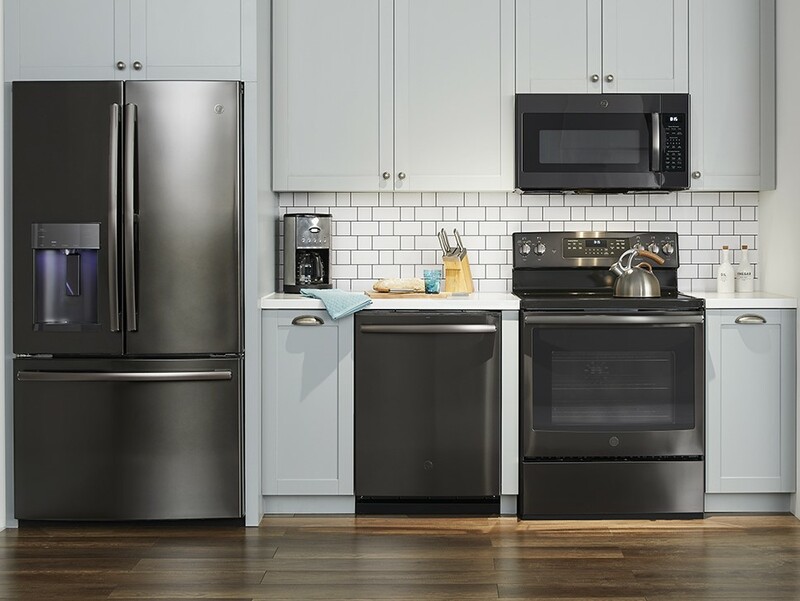 All GE Black Stainless appliances wipe clean in seconds and remain free from smudges. All while looking sleek and stylish with their glossy bold black hue and contemporary brushed metal appearance of stainless steel. GE is the leader in premium finish options, giving shoppers the ability to design a unique kitchen package suited to personal needs and style! GE Black Stainless was designed for those who want to make a statement. Shop the line at Best Buy during GE’s Start with the Finish Sale Event!